From time to time I veer away from my regular beauty go-to's. When I find products I love I normally stick to them for several years. In high school and college I was a big Erno Laszlo girl addicted to their sea mud soap. Sometimes our skin gets dry and sometimes it shines so there is always a balance when finding the right products and I think it is important to change it up from time to time. 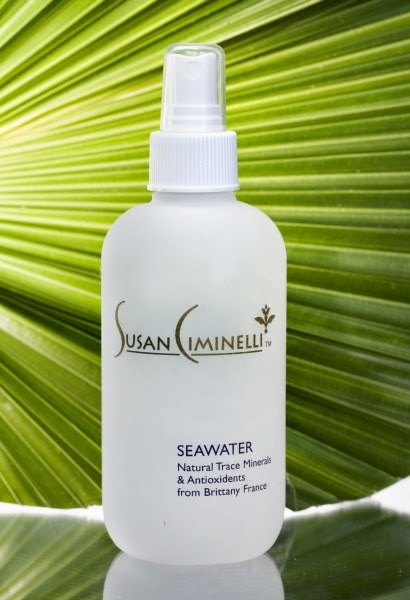 I was recently introduced to Susan Ciminelli's product line and was hesitant to try something new while in my third trimester of pregnancy but after reading the makeup of the products which include key ingredients such as; almonds, seaweed, avocado, lavender, etc ... I was sold! Below are three of Susan's products that have entered my new favorite beauty category list. Check them out I know you will also become a fan and feel radiant! This lightweight Cleansing Milk is good for all skin types and will leave a special sheen on your face. The blend of essential oils and herbal extracts helps to remove makeup and daily impurities. 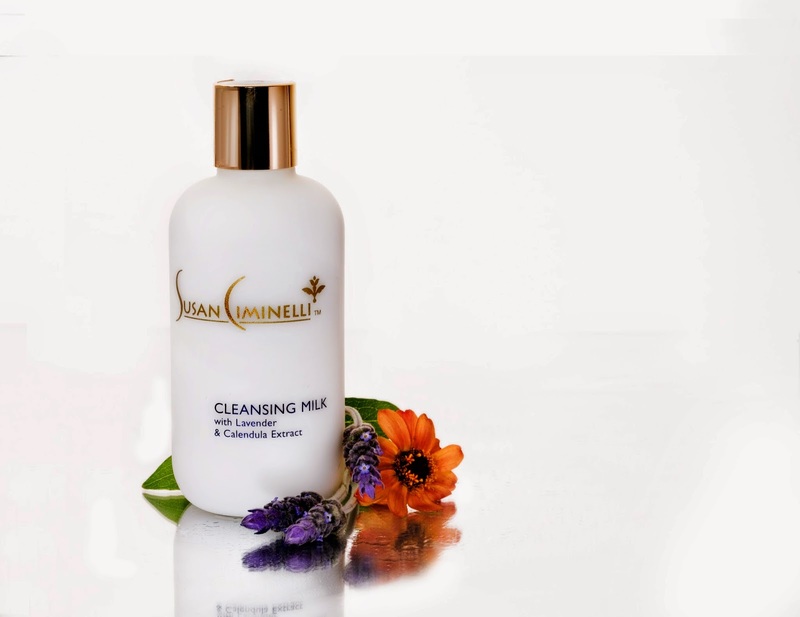 Key Ingredients include: Sweet Almond Oil, Seaweed, Calendula, Avocado, Jojoba, Pine Bark and Lavender. 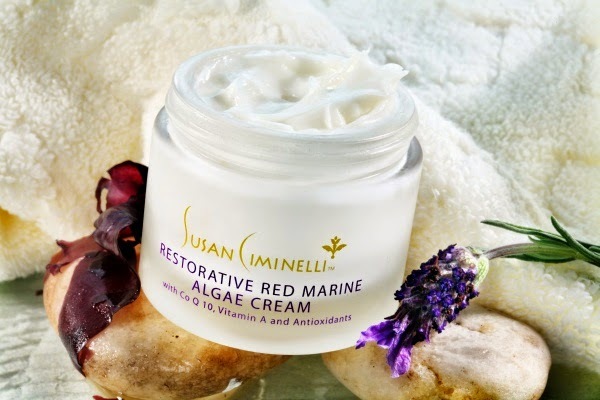 The Restorative Red Marine Algae Cream is the most luxurious of the Susan Ciminelli Creams. Formulated with a special bio-fermentation technology, this cream deeply nourishes and moisturizes the skin. With regular use it reduces fine lines, improves skin firmness and increases cell turnover. Key Ingredients include: Thyme, Soybean Oil, Red Marine Algae, Comfrey, Lemon and Chamomile. I love finding a refreshing spray that keeps me refreshed during my busy days. Seawater when desalinated, is equal to our blood plasma and is easily absorbed into the skin because it is recognized naturally. I normally spray this around 3pm before a set of more meetings and then again around 7-8pm as I head out of work either to go home or attend a dinner or party. Key Ingredients include: Purified seawater, Pine Bark and European Sea Salt. Also Susan will be starting her services and practices of beauty & wellness in September in the ultra chic Grace Belgravia in London and the beautiful 5-Star Villa Magna Resort in Spain! I would love to check both of these spots out wouldn't you? Congrats Susan!